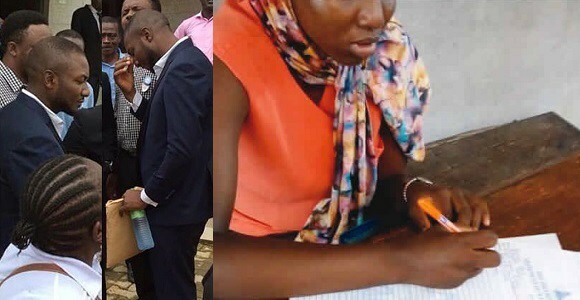 A 35-year-old doctor, Emmanuel Okolo, who allegedly slapped a nurse Dorcas Adeyera, 23, working in his hospital, was yesterday arraigned at an Epe Magistrates’ Court in Lagos State. Police prosecutor, Moses Oyekanmi, told the court the accused committed the offence on June 20, at about 2 am, at Awoyaya Hospital in Ibeju-Lekki. The police charged Okolo with a one-count charge of assault. Okolo was alleged to have frowned on the admission of an accident victim without his consent, blaming Adeyera for the action and during an argument, he slapped her. Okolo was said to have initially summoned Adeyera into his office and ordered her to kneel down. When she refused, the doctor was alleged to have dealt her several slaps and also flogged her with a belt. The nurse, in her report to the medical director of the hospital, said she was humiliated by Okolo. “My Lord, the accused caused bodily injury to the complainant. After pleading not guilty, Magistrate O. A. Fowowe-Erusiafe admitted him to bail at N50,000. Fowowe-Erusiafe adjourned the case till August 19 for trial.